Last week we announced the Mackerel Advent Calendar, but this year, Inoue ( id:a-know) and I are trying our hands at a CRE team specific calendar as well, the Mackerel Advent Calendar 2018 (CRE)! Now, not only do you have Mackerel Advent Calendar to look forward to, but our calendar as well! Custom Dashboards is a dashboard feature that lets you freely arrange graphs that you want to see based on usage scenes etc. With this update, Custom Dashboards has been newly reborn. Now it’s even easier to create and edit dashboards with more flexibility, add graphs by dragging and dropping, change display sizes and positioning, and more. Check out the operation details etc. 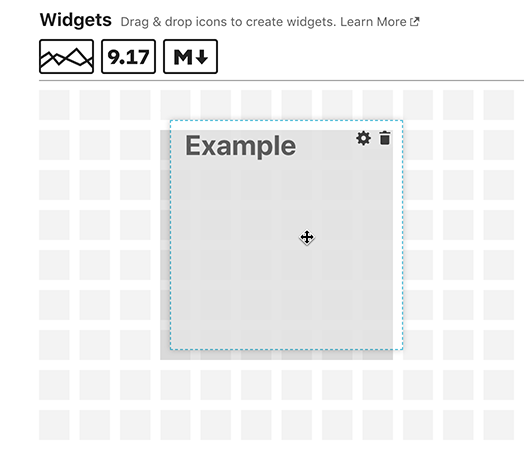 The types of addable information (widgets) are increasing. Various graphs can be displayed. Expression graphs can also be created and added from here. Display the latest values of various metrics in numbers. 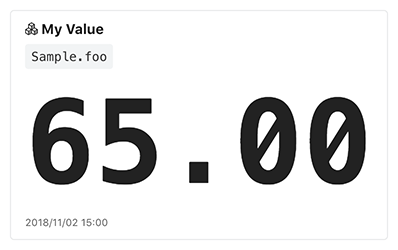 You can also select expressions for metric type. 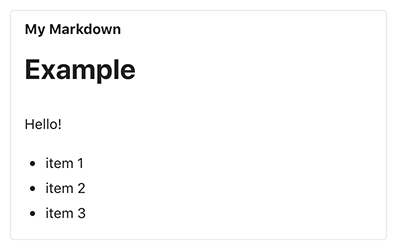 As with previous Custom Dashboards feature, you can freely write content in Markdown format. Dashboards can be created easily and put to good use in various scenes of server monitoring and operation! 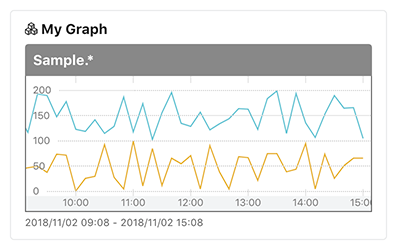 Even with the new Custom Dashboards, it’s possible to import and export graphs using the API. This lets you automate the creating / editing of custom dashboards. For more details, check out the following document. Please note that operations using the mkr command for the new Custom Dashboards are not yet supported. With this change, the old Custom Dashboards has been renamed "Legacy Custom Dashboards". You can also browse previously created dashboards here. We recommend that you use the new Custom Dashboards feature when creating a new dashboard. replication has been added to the subcommands of check-redis. This makes it possible to check whether Redis replication is working properly. slave is a similar subcommand, but understand that it will become obsolete in the future. The organization name can now be obtained by running mkr org. The following execution results are obtained. A practical DevOps Hands-on Workshop 〜 Building a safe/secure DevOps environment with AWS and Mackerel! This is an event announcement. This event is a hands-on workshop for beginners to Mackerel and the AWS Code series. If you’d like some practical experience with DevOps environments that combine monitoring and CI/CD pipelines, please come and join us! Mackerel team CRE Inoue （ id:a-know）will be presenting at the event!